Well, I’m officially 1/3 of my way through my year abroad in Alicante, Spain and it’s been an experience to say the least. I’ll try not to use clichés such as ‘a roller coaster of a ride’ or how I’m telling you about all the ‘highs and lows’ I’ve had or the massive ‘learning curve’. Oops. I LOVE my school. I’m working at the biggest school I’ve ever seen! It’s meant to have 2 classes per year (1 Castellano Spanish and 1 Valenciano Spanish) but there are three classes for years 6 and 4 and FIVE classes for year 3! Guess what, I still haven’t learnt everyone’s names because that makes a total of 23 classes of 25-30 children! Obviously I have my favourites because either they’re good at English or just really cheeky (I laugh sometimes). Also one boy in year three who’s lived in London for the last few years and has the cutest cockney accent ever! There’s also a group of girls in 6C who seem to be my little group of fan girls. Every Monday morning I’m greeted by “you’re beautiful” or “you’re very pretty”. They’ve asked me so many times for my Instagram name that I’ve now created a second one where I use really basic English and give them a chance to practice. Pleasing my fans all for education! I work with Maria, Rosa and Reme and they have taken me under their wings, looking after me in school and helping me with my everyday life too! I stay at school for lunch twice a week (lunch is three hours long in Spain!!) where I get a three course meal for only 3,50€ and have a chance to get to know the other teachers too. Group conversations are still pretty hard but if we’re talking about a topic I actually understand then I can sometimes join in! Halloween in Spain is pretty much the same as England. Although, doing a presentation about English norms at Halloween provided some brilliant reactions at a video of apple bobbing. Children dress up in costume too and shout “truco trato!” at people’s doors. However, I forgot about this so didn’t buy any sweets! I only had English sweets that mum had sent me and there was no way I was handing them out!! I had to leave a sign on the door whilst perfecting my whiskers for my night out with my friend Beth from my uni. We decided that Spain wasn’t ready for our usual level of fancy dress so we went as modest cats. We were right, less than half of the people that went out were in fancy dress! 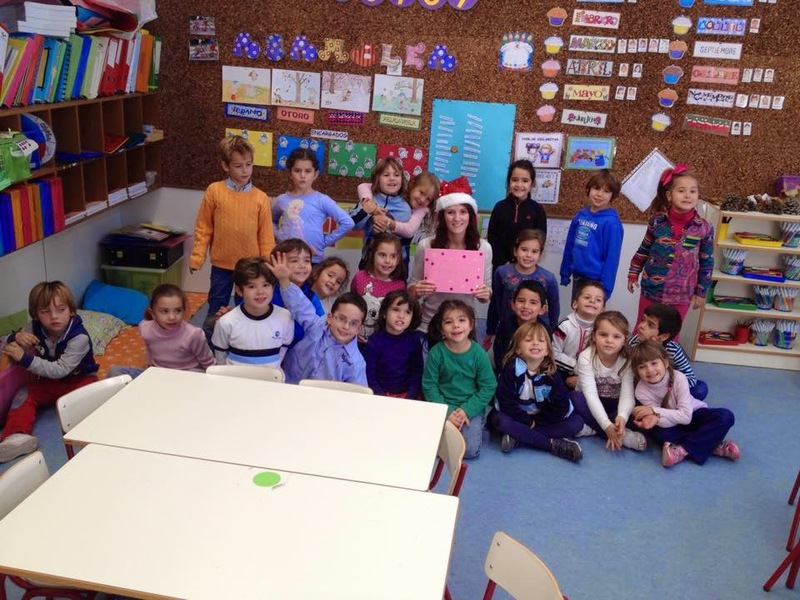 I’ve already written one blog post about Christmas in Spain (Feliz Navidad Anna) but to add onto that I’ve just spent the week rehearsing and watching pre-primary 5 year olds, year 2 and year 3. I’d say I was most proud of my year two’s rendition of ‘When Santa got stuck up the chimney’ because they had actions and remembered all the words and everything!! Super rewarding as a teacher! Social life is a bit of a struggle. I live with 3 Spanish students but we don’t really socialize much because they already have their own groups of friends and I’m too scared to invite myself because, as mentioned before, group conversations and situations are pretty hard! I’ve made good friends with a girl called Irene who’s the daughter of Reme (a teacher at school) and we’ve been out for nights out and dinner etc and I’m slowly meeting more and more of her friends too who are all lovely! They all always talk to me in Spanish so it means I get a lot of practice – I think they’re all fluent in English too so if I REALLY don’t understand something then they can help me out! I also mentioned about taking pole dance classes in a previous blog about trying to stay fit whilst in a holiday environment. I’ve been brave and have finally started asking people their names and where they’re from etc! I hope you’re all proud of me. I’ve also tried making friends with the girls that are doing teacher training in the same school. Hopefully I’ll be a busy social butterfly next term because it’s taken a long time to get this far! People keep telling me that being alone in a new environment with no/minimal friends is hard and some of them tell me they understand but really, you have NO IDEA when there are two language barriers and a culture shock to overcome! 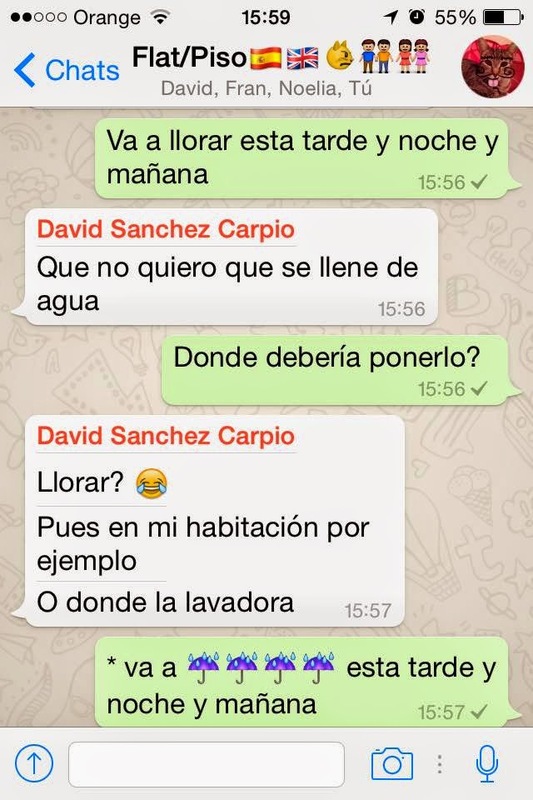 David and Noelia, two of my flatmates. 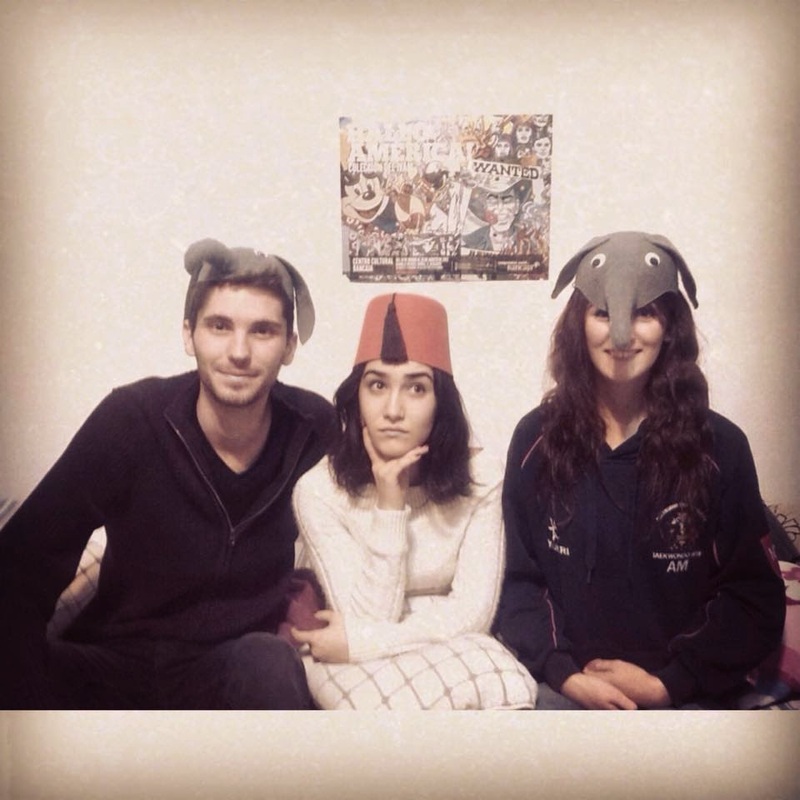 We like elephants and Fez wearing. If you haven’t guessed already, I have struggled a lot this term and at times it’s made me very homesick. It’s very hard to find the balance between enjoying the moment I’m in and wishing my life away until I’m in a place where I just feel comfortable! 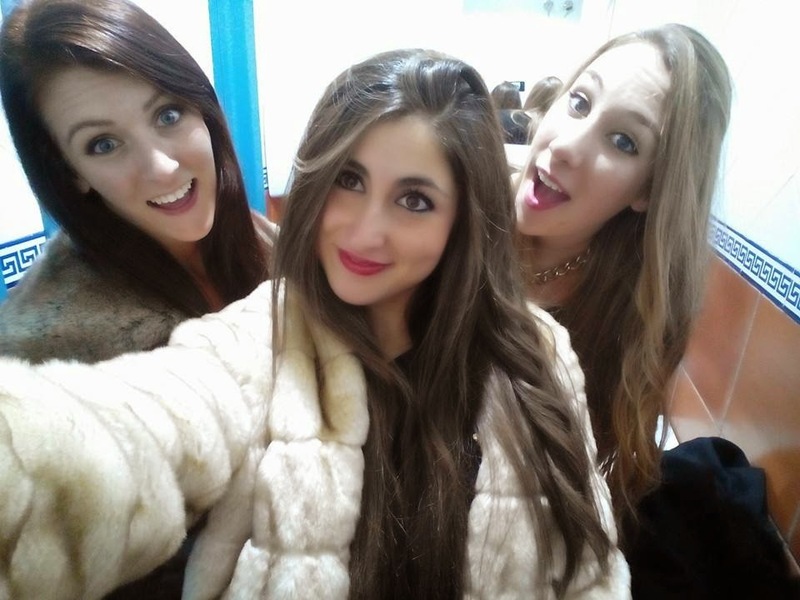 Everyone seems to say that a year abroad is ‘the best year of your life’ and yeah, maybe it is! HOWEVER, no one ever mentions how hard the first few weeks/months are!! I was so eager to move and excited to start my new life but having no friends to start out with and not knowing my way around the city/my school/a supermarket there have been a lot of things that have made me feel like a lonely fish out of water. Some Spanish people only really want to know me to practice their English (tandem partner: okay. Talking me in bad English like I’m an idiot that doesn’t speak Spanishh: not okay) and some will just speak Valencian around me which means they really don’t care for my opinion because I cant join in the situation. Noone told me that most Spanish people go home every weekend so I’ve been left alone in the flat every weekend and when I’m not able to meet up with the few friends I have from Alicante for whatever reason it leaves me feeling pretty crap and unmotivated to power through! 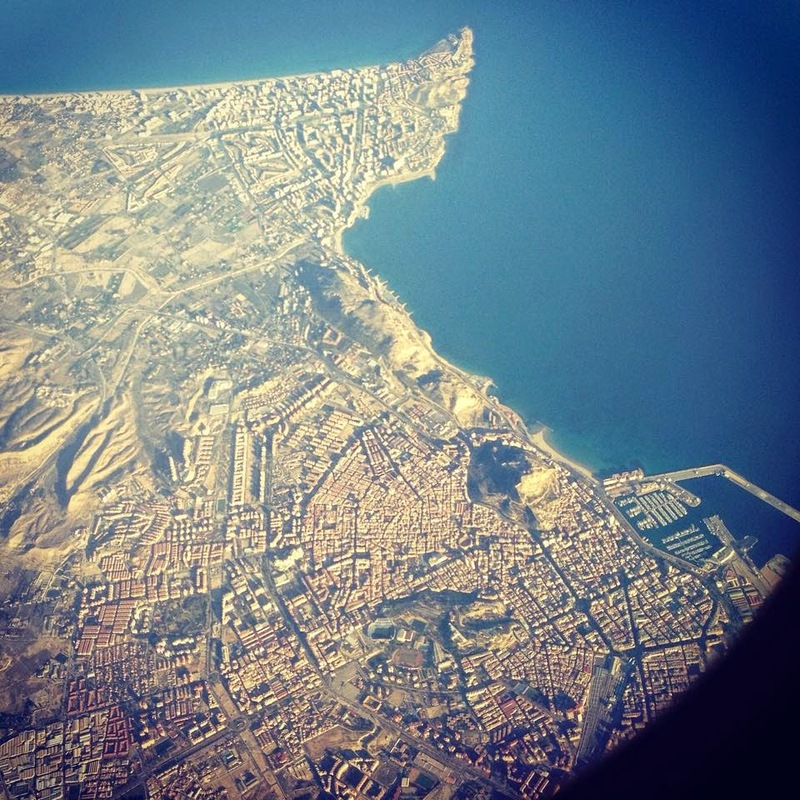 Alicante Centre and Playa de San Juan from the plane. See you in January!! It’s been a pretty long blog post, I know, but it’s been 4 months what did you really expect?! All I really care about now is putting on some comfy tracksuit bottoms, stuffing my face and getting into the real Christmas spirit!